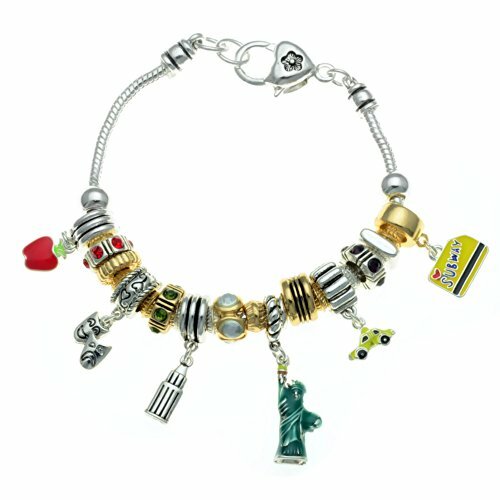 Here is a fun New York City theme bead charm bracelet. It has goldtone and silvertone charms – some that dangle such as a sky scraper, the statue of liberty, a taxi, an apple and more! It’s accented with sparking crystals too! Will fit up to a 7″ wrist comfortably. A perfect item for gift giving or for yourself. Comes in gift box.